Mexico is intriguing. Or scary. Or scaringly intriguing. It seems like from all the movies and the news, every one of us knows at least a little bit about the country, whether it’s sombreros or Antonio Banderas in Desperado (who’s actually from Spain but who cares; he got the looks). Having been to Texas before, I kinda felt I knew a little more about Mexico than an average person. I could name at least five different Mexican dishes, and THAT counts for something. Besides, one of my good friends got married to a Mexican guy. I mean, that practically makes you an expert on the country, right? Little did I know how wrong I was about all of my perceptions. Perhaps, out all of my travels, Mexico turned out to be one of the biggest surprises. Here’s why. For starters, I didn’t realize Mexico is so far away. The flight from Paris took us over 12 hours. It’s still a walk in the park compared to, say, getting to New Zealand. But somehow I was hoping it would be less than four movies, two meals and a nap away. Mexico is the 13th largest country in the world. Did you know it even has four different time zones? It craves to be explored, and not only the Playa-del-Carmen kind of way. We ended up going to Mexico City, the state of Chiapas and Yucatan, and man, was I happy we didn’t spend all this time only on the beach. Getting around Mexico is relatively easy and ok. For longer distances, it makes sense to take a plane. The country has its own national airplane company – Aeroméxico. They are safe and pretty reliable, in the Mexican kind of way. Almost every flight we took in Mexico was one to several hours late. But somehow, it all worked out in the end. 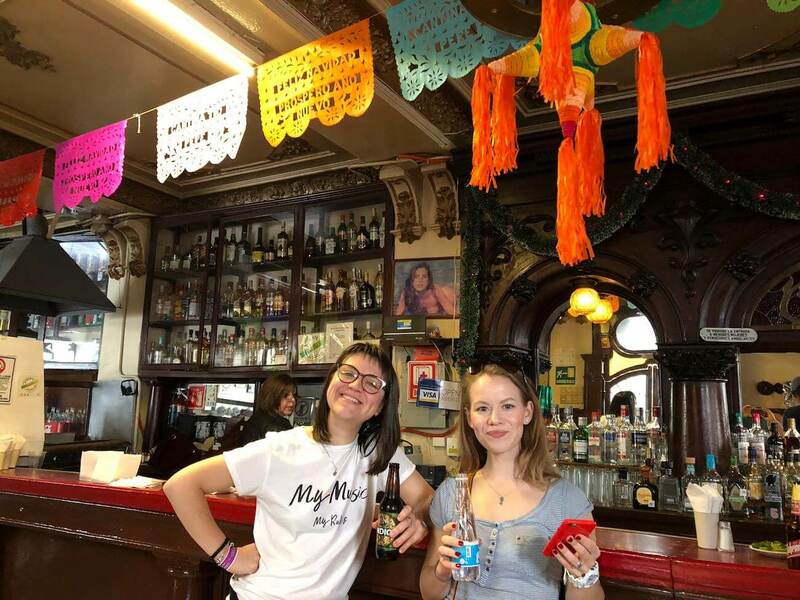 Luckily, we learned a fantastic word that should be put on the Mexican national flag, so well it describes the national character and way of handling things. Ahorita. It is derived from the word “ahora” which means “now”. 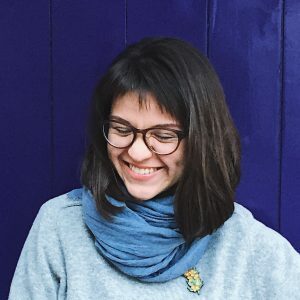 Ahorita is like a diminutive form of the word and expands its meaning to “some time around now. Or maybe later; not sure when”. In Mexico, ahorita should seriously be considered an intangible cultural heritage. When is the plane coming? Ahorita, and you end up waiting for another two hours. When are we arriving to the camp? Ahorita, and you keep driving for another 100 km. Southern countries in general tend to be more laid back (due to the climate, I guess). But in Mexico, ahorita should seriously be considered an intangible cultural heritage. Mexico was populated some 13,000 years ago. It saw the rise and dawn of the Maya and Aztecs before it was conquered and colonized by Spanish conquistadores in the 16th century. In 1846, Mexico got into a bloody war with America, losing almost half of its territory two years later to the US. Till this day, Mexicans hold a grudge against their northern neighbour. To my mind, it makes it even more bizarre that the US president is blustering out threats to build a wall between the two countries. I mean, dude, seriously? During the 20th century, Mexico went through a revolution, a period of rapid economic growth and the rise of El Narco, the rule of notorious drug cartels across the country. Today, Mexico seems vibrant, different, troubled and totally worth visiting. Mexico city is gigantic. It has the population of around 9 million people that seems to double during the working hours. Due to its low-rise buildings (earthquakes are to blame), the city is almost always stuck in traffic jams. There is a subway, though, in case you want to speed things up a bit. Interesting fact: during rush hours, there are separate wagons for women in the subway. Honestly, I didn’t notice any disrespectful treatment of women while we were in Mexico, but perhaps that’s because we were always in the company of three men. Just in case. A few years ago, when I went to Peru, I couldn’t help but notice how unsafe the place felt. Houses surrounded by high fences with barbed wire at the top, bars on the windows, and certain districts that I wouldn’t dare to show up in even during the day. And while to me, Mexico City does resemble other Latin and South American capitals like Lima or Panama, it felt much safer and more vibrant and “alive”. We saw police officers almost on every street (although that should have warned us about the safety of the place; otherwise, why would they need so much police? 🤔) And during all the time we were in Mexico City, we felt totally fine, even walking late at night. In case you were wondering whether you should bring some ammunition when visiting. 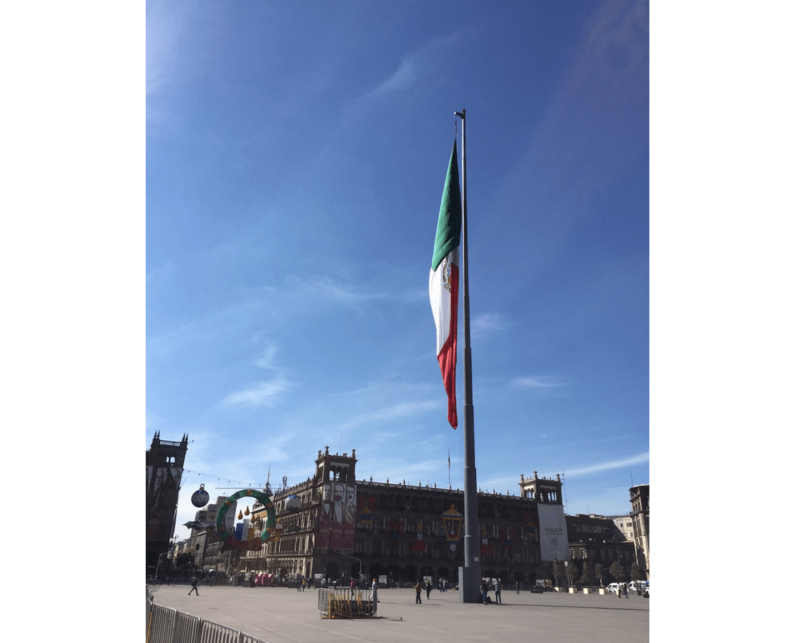 Mexico City has a beautiful historic center with the main Zócalo square (officially la Plaza de la Constitución). With its measurements of 220 by 240m, it’s one of the biggest squares in the world. Not far from Zocalo, one can find Torre Latinoamericana (Latin American Tower). It was build in 1956 and was Latin America’s tallest building. 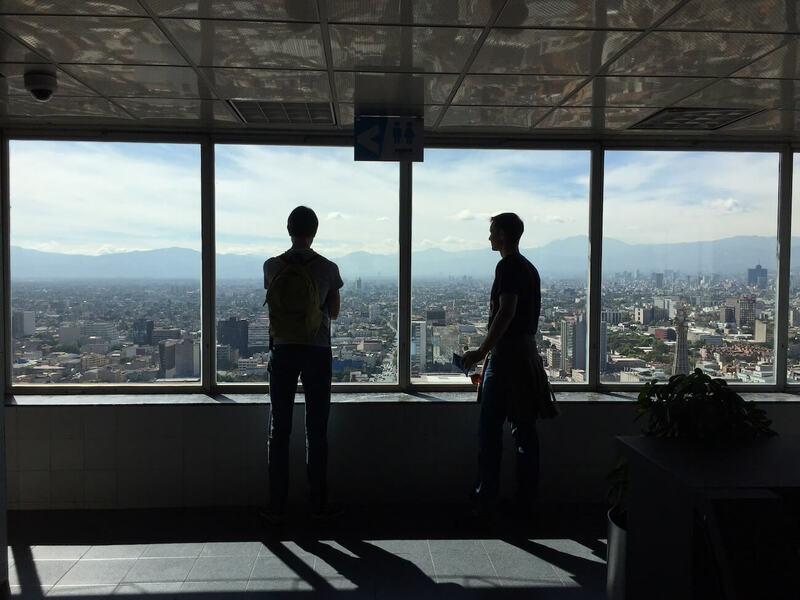 For a decent price of $120 Mexican pesos (about $6.5 USD), you can get up the tower to the Mirador and enjoy spectacular views from its 44th floor. 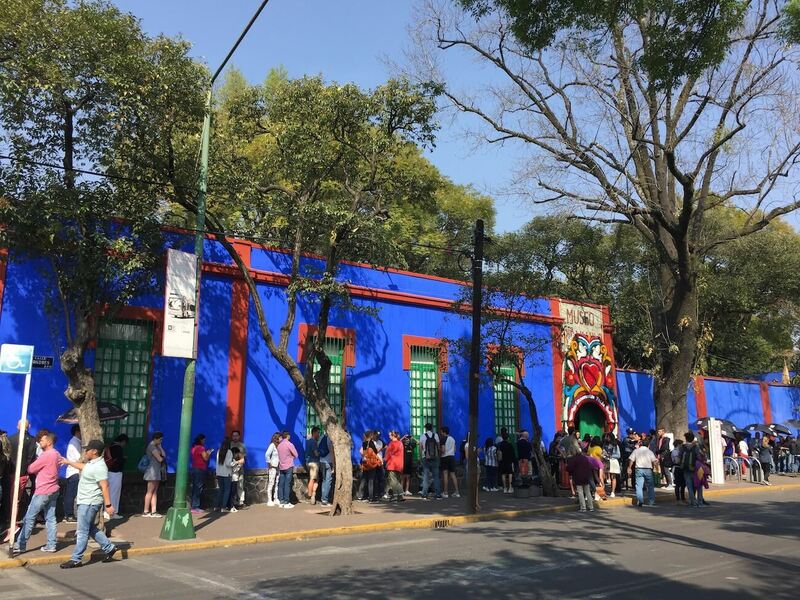 When you crave for something more artsy, head over to Frida Kahlo museum, located in the lovely Coyoacán neighbourhood. Make sure to book your tickets in advance on their website, though, as you are probably going to run into a huge line. And when you get tired in the evening, head over to one of Mexico city’s finest districts like Colonia Roma for a drink. 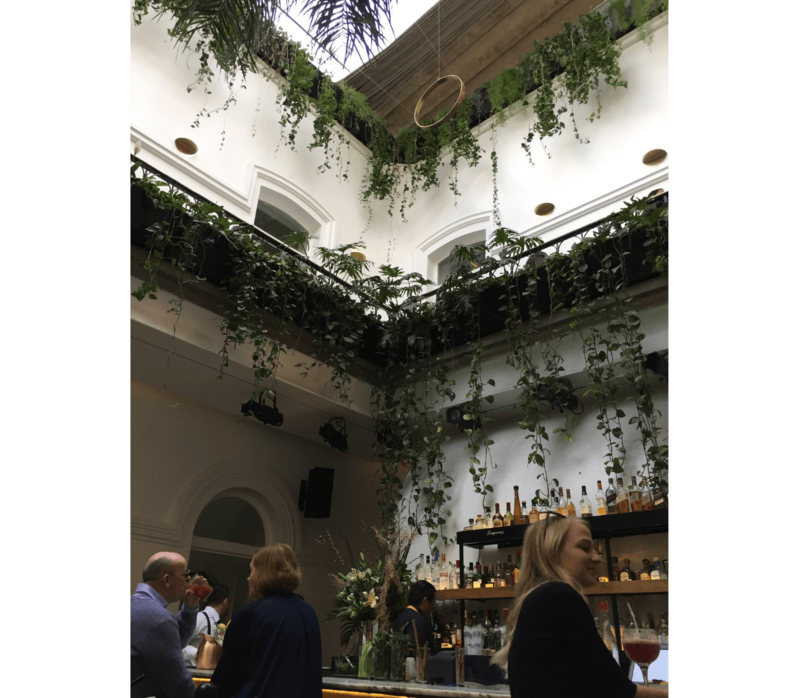 Check out fancy bars (one that I can personally recommend is Blanco Colima, located in the Colima street). 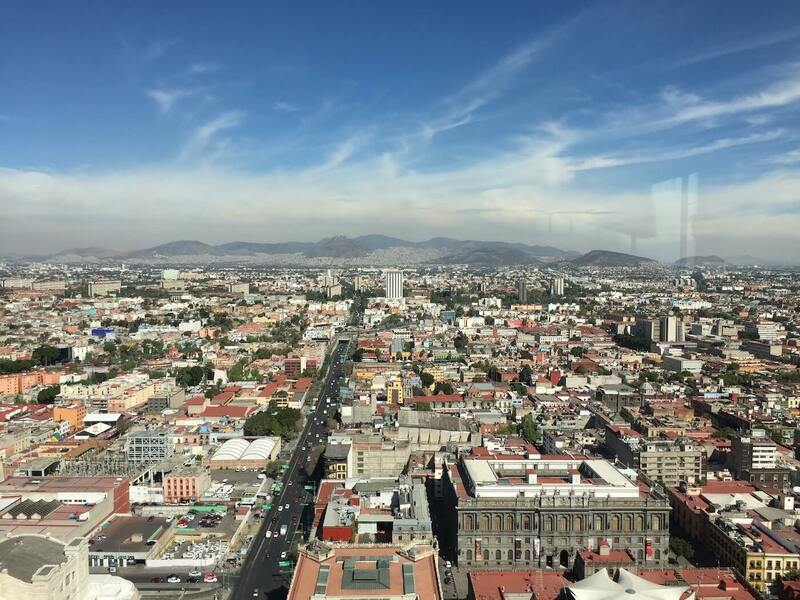 Or enjoy the street views from the rooftop of the Hotel Condesa DF bar. Whatever you crave for, Mexico city got you covered. If you are in Mexico City for a few days, it’s worth exploring the surroundings. Here’s an easy one for you: about 40km away is the Aztec pyramid site of Teotihuacan. It has two main pyramids: Pirámide del Sol (this one is the world’s third largest pyramid, after the ones in Egypt and Cholula) and Pirámide de la Luna. Climb on top of each one to get great views on the other ones. No brainer, really. For best views and to avoid the crowds, I strongly recommend that you come early in the morning (the earlier – the better). 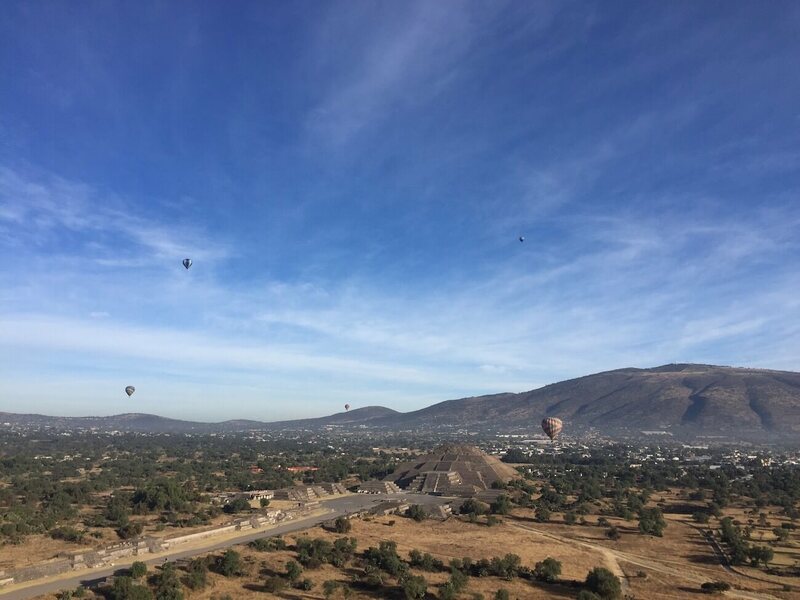 Another perk for early birds: you might get to see a bunch of air-balloons cruising above the valley. Getting to the site is relatively easy: you simply take an Uber from your hotel. Getting back, though, is a little trickier, as there are many more cars arriving to the site in the afternoon. Be prepared for a wait. 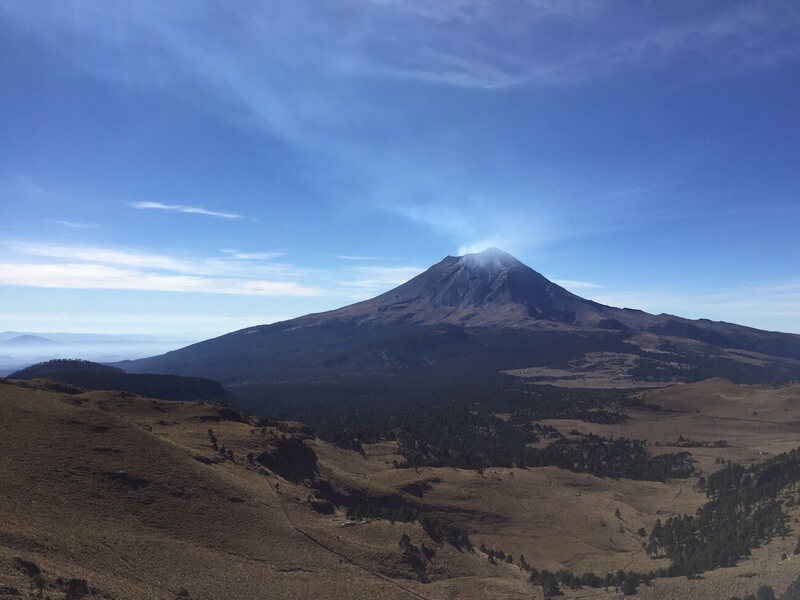 If you are in the mood for a hike, head over to see the Iztaccíhuatl and Popocatépetl volcanos (and yes, it takes weeks of practice to learn how to pronounce it). According to Aztec mythology, Iztaccíhuatl was a princess who fell in love with one of her father’s warriors, Popocatépetl. Of course, the dad didn’t approve, and sent Popocatépetl to a war in Oaxaca, presuming he would just die in battle. Also, that’s exactly what he told his daughter Iztaccíhuatl. Sure enough, the poor girl died of grief. When Popocatépetl returned and found his love dead, he took her body and kneeled by her grave. The gods covered them with snow and turned them into mountains. Iztaccíhuatl is called “White Woman” because it resembles a woman lying on her back. Popocatépetl became an active volcano, raining fire on Earth in rage. Take a day trip from Mexico city to see this heartbreaking love story with your own eyes. The hike to Iztaccíhuatl really isn’t that long or difficult. To enjoy the views to the fullest, wear comfy boots. Ages ago, I spent some time living in Texas. Due to its proximity to Mexico, Texas has inherited a lot of Mexican culture, including its cuisine. You might have heard the term Tex-Mex: it’s the type of Mexican food adapted to the local Texas taste. And man, is it delicious. 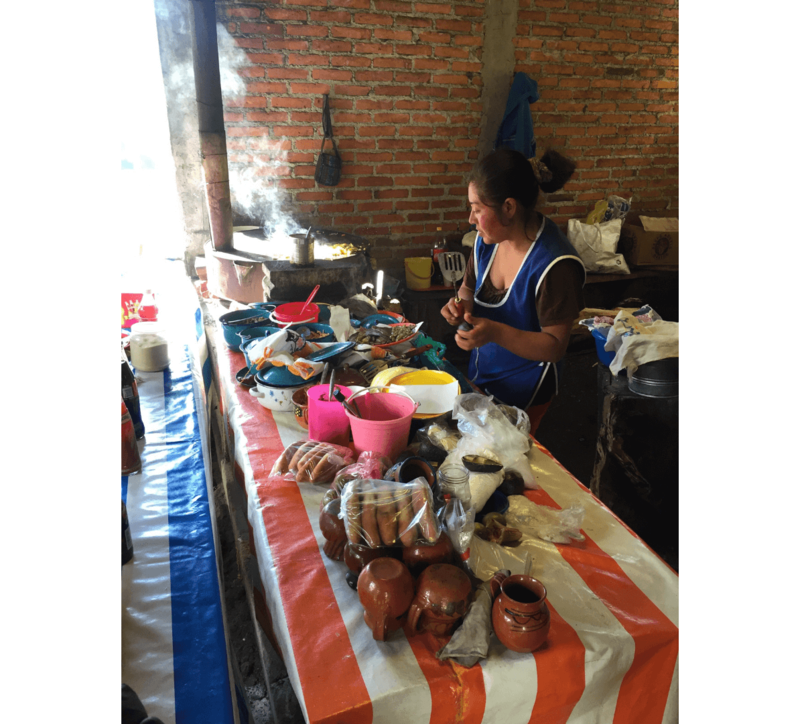 In Mexico, it looks like the country circles around food. You will see hundreds of food stalls in every street in Mexico City, cooking all kinds of enchiladas, tostadas, quesadillas, antojitos and a bunch of other kinds of food I haven’t ever heard of. No chance of ever running hungry! After Mexico city, we went deep into the country’s south, ending up in the state of Chiapas. 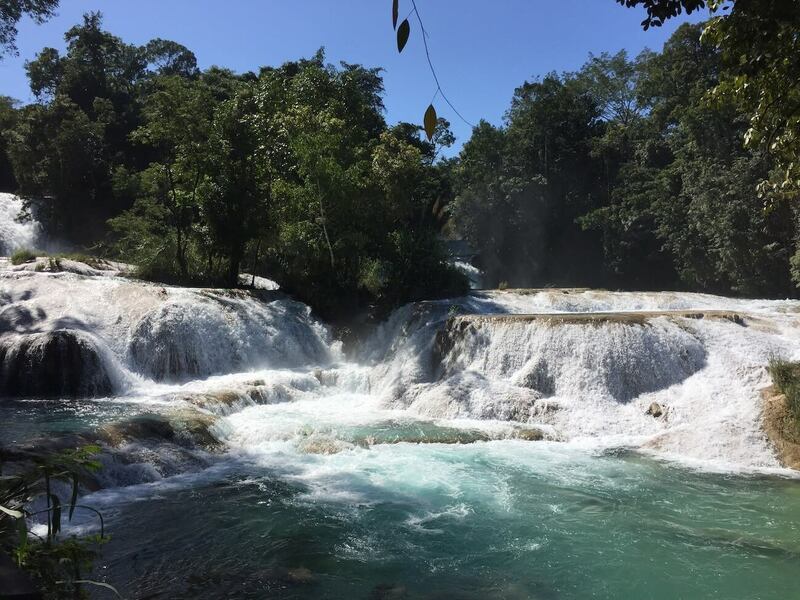 From the cute touristy city of San Cristóbal de las Casas, we drove via the waterfalls Agua Azul past the city of Ocosingo to a camp in the Mexican jungle. No visit to Mexico can possibly avoid seeing at least one Mayan pyramid site. They are scattered all around the country, especially in the state of Chiapas and the Yucatan peninsula. To be honest, I didn’t really know much about the Maya civilization before I came to Mexico. It seemed so distant and different from our part of the world that I wasn’t even sure when exactly it emerged and disappeared. The 1st century BC? Or 10th AD? Mayan ruins in Palenque: expectations vs reality. Tourist overload! Meanwhile, the Maya developed a sophisticated writing system as well as art, architecture, mathematics, and astronomical system. They built gigantic pyramids, all without even knowing the wheel. In those pyramids, they painted colorful and realistic pictures that survived to our day. I mean, pretty impressive, eh? The folks were quite blood-thirsty, too. For instance, according to their mythology, god of sun Ah-Kin went to the underworld every day; hence the dawn and night. To make sure the humanity sees the sunrise every morning, the Maya made human sacrifices. Every. Bloody. Night. They were also quite active with their warfare. Interestingly enough, they didn’t go to war for new territories but rather to get more slaves that they could later sacrifice to feed their gods’ appetite. 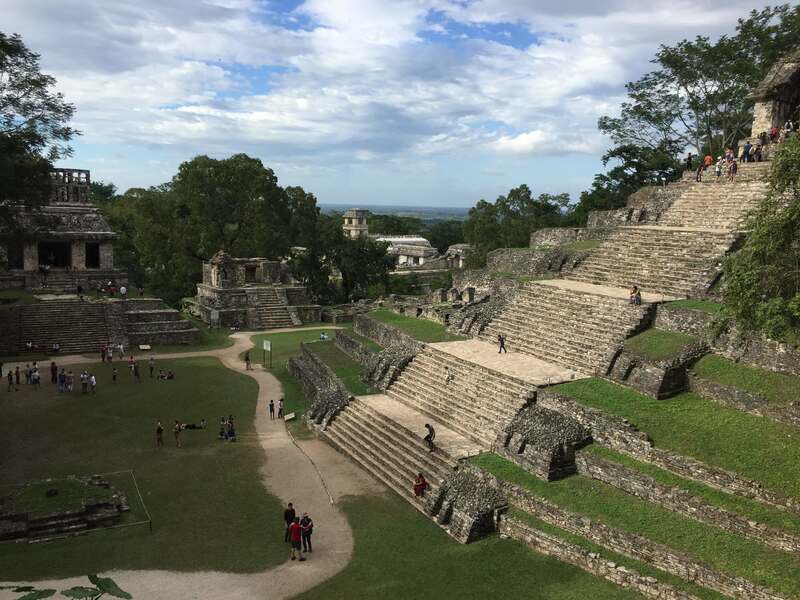 We visited four big Maya sites: Yaxchilan, Bonampak, Palenque, and Cobá. Other famous ones include Chichén Itzá and ruins in Tulum but we thought with those four, we saw quite a lot. If you ever get to visit Mexico, make sure to go to at least one! One of the coolest things we did in Mexico was discovering the nature. In my imagination, the whole country was supposed to look like the deserts in the north. You know, like the one you might have seen in the Mexican. Mexico proved to be very versatile. 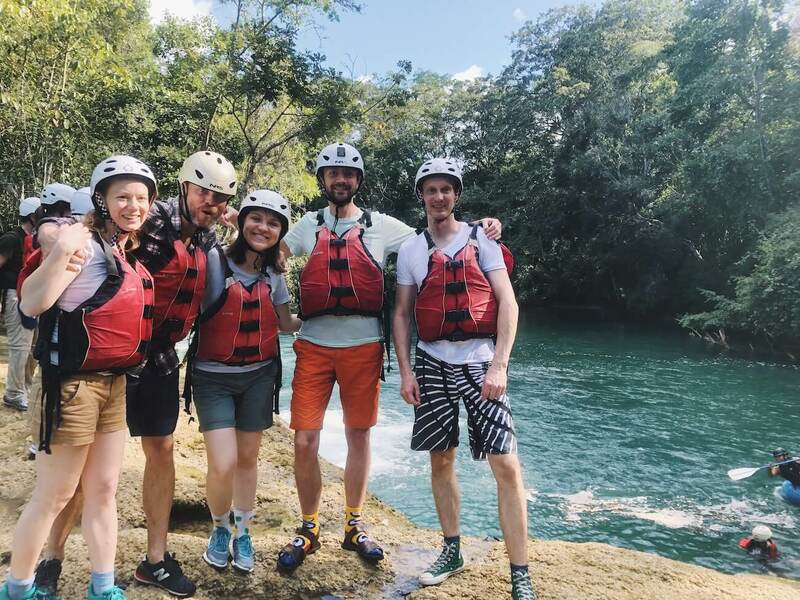 We went rafting on an Amazon-like river (they even said it had crocodiles! ), going down the waterfalls and swimming in the river. We hiked our way back to the camp in the pouring tropical rain through the thick jungle. And it was such a blast. 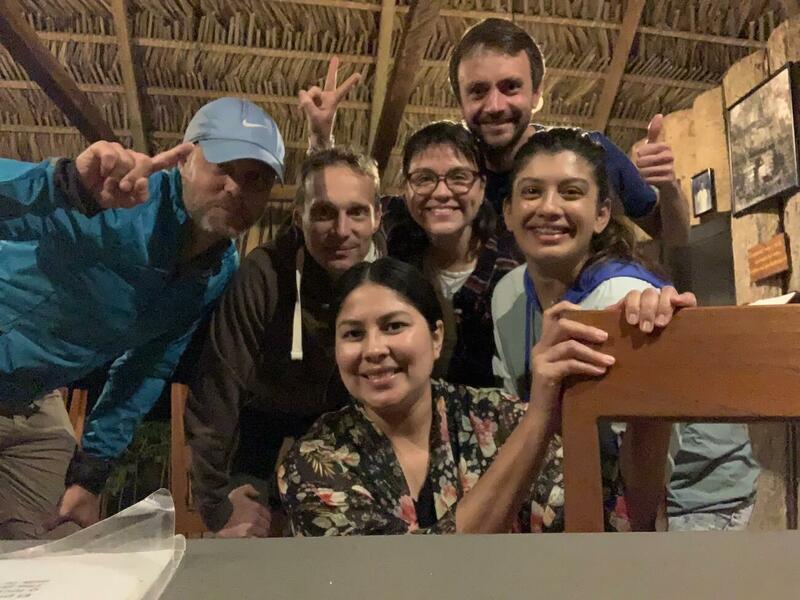 If you ever want to discover the state of Chiapas, its nature and history, I can totally recommend the tourist company we went with – Explora, based in San Cristobal. The guys definitely know what they are doing. 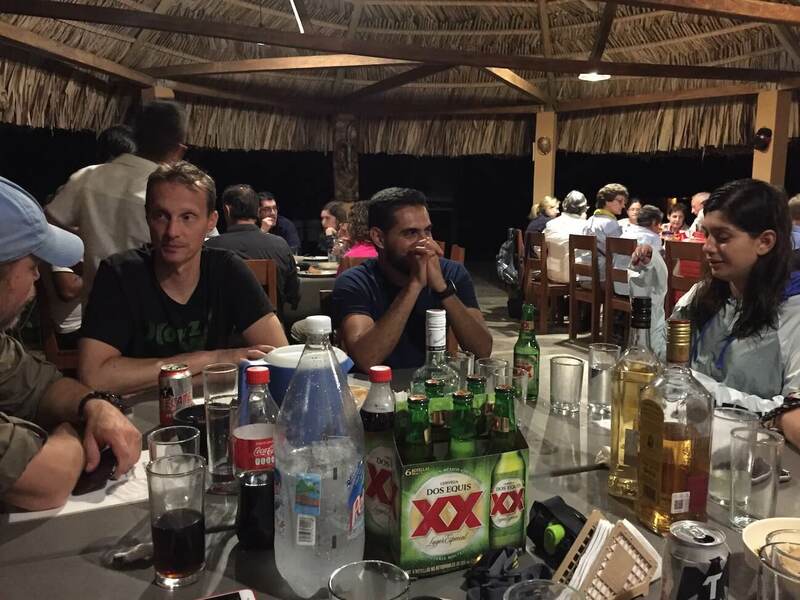 I love doing some off-the-beaten-track kinds of activities like the one we did in Chiapas. It’s like you always get to meet new people that turn out to be amazing. Apparently, it takes a certain state of mind to be doing crazy things like rafting down the river waterfalls, instead of just quietly chilling on a beach. We learned some great expressions like gotas de felicidad: it’s the very last drops left in the bottle of a drink. when you finish it up. We spent a billion hours in a mini bus, discovering Mexico from unexpected angles. And sure enough, we drank a bunch of tequila together. Lulu and Diana, thanks for making our trip even more awesome! The Yucatan peninsula is well-known beyond Mexico. Due to its great location and access to the Caribbean sea and the Atlantic ocean, it hosts thousands of tourists hungry for some sun and warm waters. 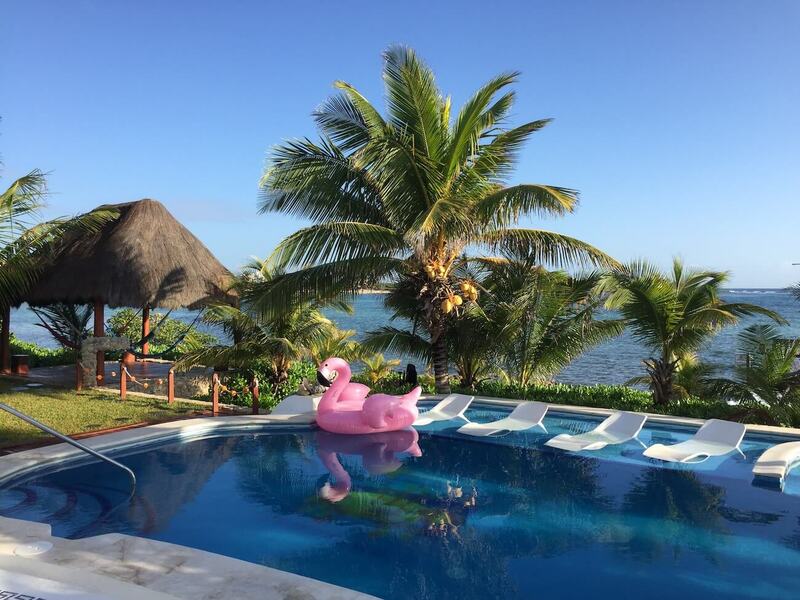 Around Mérida, you can find some fun activities like visiting cenotes (little cave lakes), going to the beach in Celestún or watching flamingoes before you head over to Quintana Roo for some sun-bathing. We rented a house in a tiny city of Akumal, Quintana Roo. I am probably not the biggest fan of beach vacations, as I instantly feel anxious just relaxing and not doing anything. However, our stay in Akumal was a blast and a half. 5 days of chilling on the beach was just what a person needs, coming from a snowy northern country. For convenience, it’s best to rent a car in Merida or Cancun, if you arrive there. It makes it much more convenient to get around the state. If you ever considered going to Mexico, I would only encourage you to look further than just the Yucatan peninsula with its beaches. Because Mexico is so much more: modern, historical, vibrant, and simply beautiful.